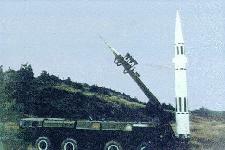 The DF-11 (M-11 / CSS-7) is the Chinese replacement for the Scud-series of missiles. As of late 1999 the US estimated that China had deployed 40 DF-11s, with an eventual force goal of as many as 500 short-range missiles by 2005. It was originally shown at the 1987 Beijing air show as a two-stage missile with 1000 kms range carrying a 400-500 kilogram payload. This M-18 missile had the longest range of any of the current M-series missiles. The M-series missiles all use solid fuel, and operational preparation time is short. They are all transported by highly-mobile cross- country trucks which have the capacity to launch the missiles. Due to MTCR considerations, China exported the M-11 system variant to Pakistan as a single-stage, solid-fueled missile with a range of 120-295 kms carrying a 500 kg (or perhaps 800 kg) warhead. 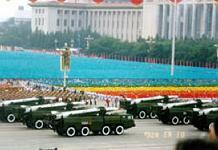 The DF-11A [M-11] displayed in the September 6, 2009 military parade practice for the October 1, 2009, 60th. 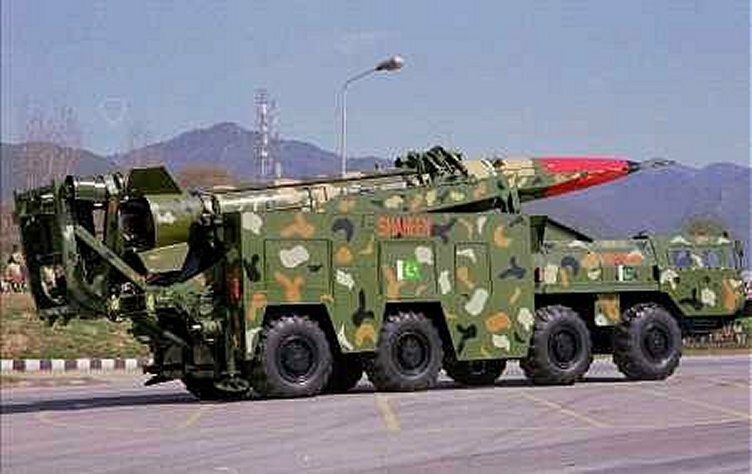 anniversary parade sported new upper missile fins for warhead control steering already utilized on the Pakistani Shaheen-1. 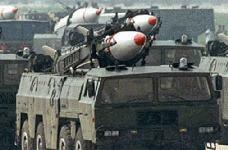 Although the DF-11 has a range of 300 km, the Chinese continued work on a version with a longer range. 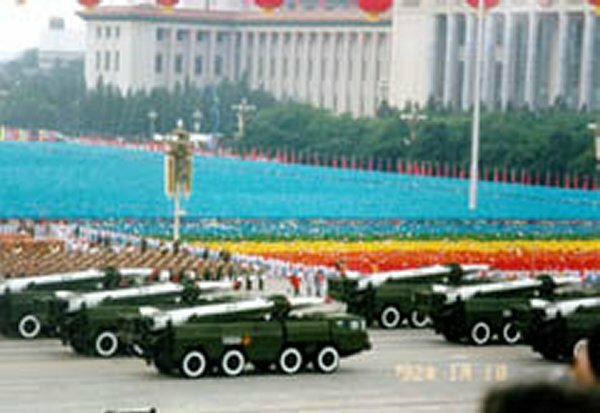 China's 50th anniversary military parade on 01 October 1999 marked the first public Chinese display of a new version of the M-11 short-range missile, the CSS-7 Mod 2, more commonly known as the M-11 follow-on. The new Mod 2 missile about two meters longer than the Mod 1, and is believed to have a longer range, a larger warhead and greater accuracy than earlier M-11. The accuracy of these missiles will improve in the future if China is able to apply Global Positioning System (GPS) guidance technology to provide highly accurate location information for missile launchers or pre-surveyed launch sites. US intelligence detected a test flight test of a CSS-7 in late December 2001 from the Shuang Chengzi missile test facility northwest of Lanzhou in Gansu province in northwest China. 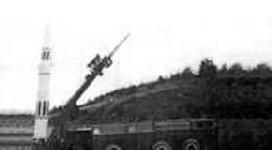 The test was part of a continuing series conducted to improve the accuracy of the missile. 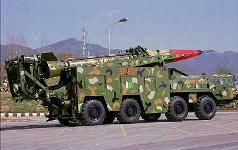 China sold at least 34 M-11 missiles to Pakistan in November 1992. US imagery intelligence satellites provided imagery showing M-11 missile canisters being delivered at the Sargodha air base near Lahore, but not the M-11 missiles. But the Clinton Administration said they would need direct photographic proof by spy satellites to determine whether the Chinese sale to Pakistan had occurred, in order to impose Missile Technology Control Regime (MTCR) sanctions against China for selling missiles to Pakistan. Sanctions were imposed on China in August 1993 for selling missile components to Pakistan that were barred under MTCR. The sanctions were lifted in October 1994 after the Chinese pledged not to sell any more missiles. 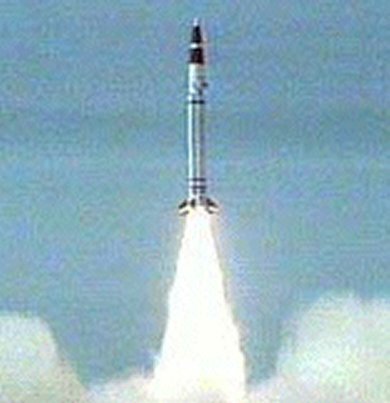 In 1999 Pakistan displayed two "Shaheen" missiles in a military parade, which were apparently the improved longer-range CSS-7 Mod 2.